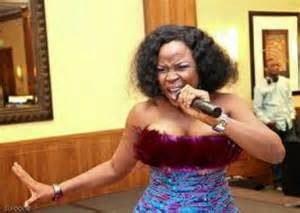 Omawumi is not a bad singer. She didn’t win the Nigerian Idols competition many years ago, but the young lady grew to become one of the respected ladies of songs in Nigeria. “I am working on my next album which would be a live album. I have one song with Phyno and it is wonderful. I want to produce a 10 track album that even when you listen to in the next 10 years you would love it. I would use live acoustics so you can get a feel of the real music as opposed to using technology all the way. I did not start performing with live band but music is something people want to enjoy raw, if someone is playing a guitar for example, people want to hear and have a feel of the guitar. It makes music more enjoyable as opposed to asking a disc jockey to play your songs while you mime to it.